Experience the Southern Caribbean "WOW" Style! 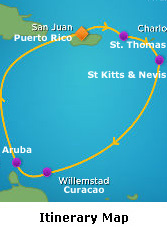 There is no better way to experience the Southern Caribbean than on board the beautiful Adventure of the Seas! 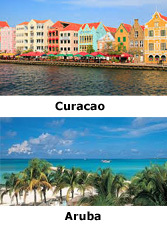 Visit 4 beautiful ports in 7 glorious days! *Rate is based on double occupancy. Inside rate is based on a category M. Ocean rate is based on a category H. Balcony rate is based on a category D2. Suite rate is based on a category JS. Rates are subject to change and are based on availability at the time of booking. Additional cabin categories may be available at the time of booking. A non-refundable deposit of $50 per person is required to reserve your stateroom. A second deposit of $200 per person is due by January 11, 2016. Final payment is due by February 22, 2016.